For many years, Americans performed a slightly taboo ritual of driving up to the liquor store, buying a bottle of booze in a brown paper bag, and going home to throw it in the refrigerator. Since State Question 792 was passed, convenience and grocery stores can sell wine and highpoint beer — and cold ones at that. Liquor stores see less change except that they can now install refrigerators like their new competitors can to chill their beer. Abandoning traditional Oklahoma liquor laws raised concerns about how selling cold ready-to-drink beer may increase drunk driving. Others worried about the laws increasing the sales of alcohol in Oklahoma, and possibly contributing to alcoholism because of the new convenience. The largest immediate effects so far, however, have been with the liquor store’s sales. “Before the new law came in, we were making holiday sales. Ever since the new laws came in, it was like slow-mo,” said Gaslite liquor store worker Joey. Joey raises a point about the issue of physical space. Small business usually means small revenue and small amounts of merchandise, which fits small stores like Gaslite well. However, the legalization of refrigerated beer means stores with less floor space are disadvantaged, with or without the money. Big business has long plagued stores like Gaslite, who stay afloat largely from customer loyalty alone. “We sold our first bottle the day after Prohibition ended in Oklahoma in 1959. I don’t drink myself, surprisingly, but I always enjoyed hearing stories of people saying they remember their grandparent coming in here.”Typically, small business has an edge to keep their doors open against the encroaching powers of corporation. The new laws may have liquor stores rebranding with new appeals to market their wares. A support local business or Route 66 gimmick may be in order. Other liquor stores that have the resources for refrigeration units seem to be doing all right. Parkhill’s Warehouse Liquors & Wine in Tulsa, Oklahoma, and Collins Midtown Liquor have installed units. Collins Midtown liquor has seen little difference in their sales. For liquor stores that can afford refrigeration units, relying on their expertise in alcohol sales as well as brand loyalty may keep them in business during the dark times ahead.Smaller liquor stores may be a different story. 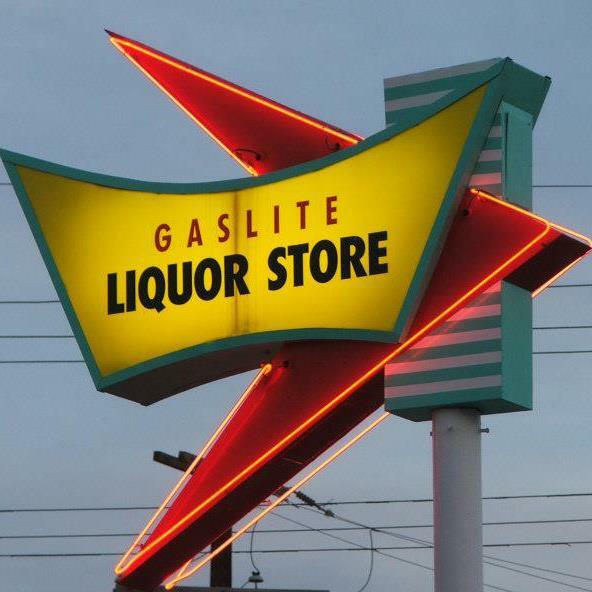 Gaslite may have sold your grandfather his first bottle in ‘59, but they might just sell their last to his grandkid.